I read a fact that only 3% of the world’s population have their goals written down. This would not surprise me as when I am on stage speaking, I usually ask how many people in the audience has their goals written down and around 3% of them do. If people don’t laugh at your goals then they are not big enough but how do you set your goals? I have my goals defined by 12 areas in my life as follows: Family, Personal, Physical, Health, Mental, Intellectual, Study, Career, Work, Financial, Material and Spiritual. The next thing you need to do is write your goal down so you program your mind with the information. An example of this would be for my study; I have written down that I will spend 4 hours of my 24 hour day reading, attending seminars and associate myself with like minded people. After that you need to set your timeline and review this daily, monthly, quarterly or yearly to ensure you are on the right track towards achieving your success. I have never grown up in a household that even talked about goals in life, let alone setting them and writing them down so took a bit of getting used to. Now it is a daily reminder to kick-start and ends my day reading my goals knowing what it is that I want from my life to ensure that I take action on how to achieve them. 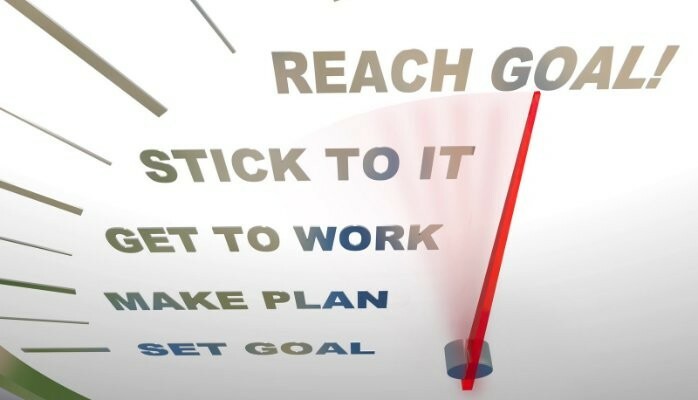 So ask yourself this question, are your goals written down or are they just a thought in your head and you wonder why you are taking one step forward and two steps back?